Did you know that dance is an ideal way to break down barriers and build up trust among colleagues and friends? 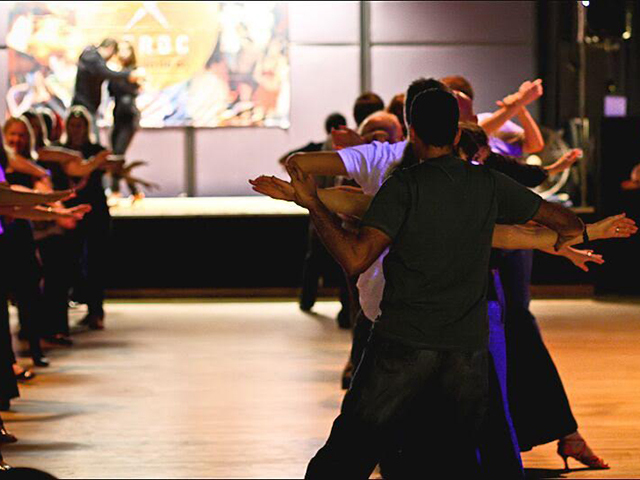 With a teambuilding Ceroc dance event, you choose between social dance or dance choreography in a group, to suit any corporate event, annual dinner, birthday party or wedding celebration. 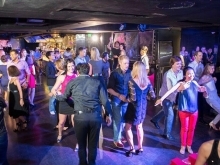 A Central dance studio can also be hired if a venue is required, and catering can be provided. 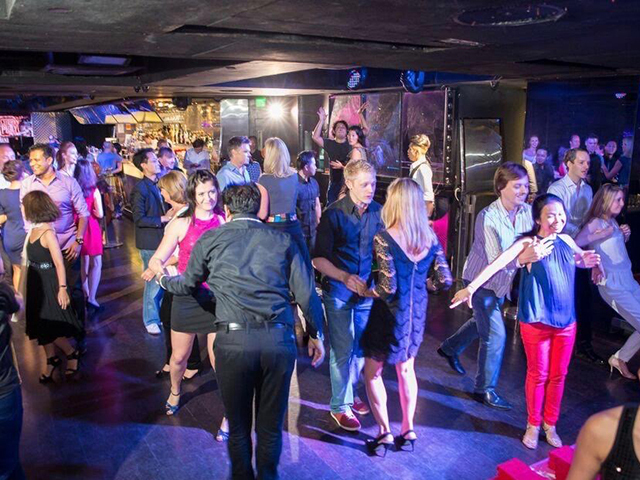 Social Dancing is a fun fusion of salsa & rock ‘n roll, and can be danced to all styles of modern popular music making it universally appealing and also a useful skill for life. No experience is needed, however a rough balance of men and women (leaders and followers) is recommended. Normally everyone swaps partners regularly to keep the atmosphere lively and the speed learning at it’s fastest. 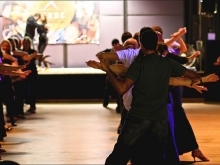 Group Choreography is a way for everyone to learn a simple, fun dance as part of a group. Ideal if numbers of ladies/gents are not equal or if less physical contact is preferred. At the end of the workshop, an optional team competition can add spice to the learning challenge when the routine can be performed in teams. May the best team win! 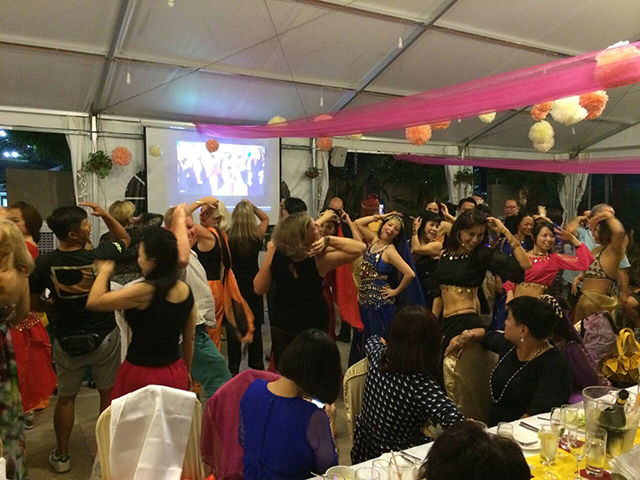 We were delighted with the team building dance workshop at our New Year celebration. The 3 hour event was well organized, keeping our participants engaged and interested throughout. We hired the Ceroc team for our 80's themed Annual Spring Dinner and what a memorable event it turned out to be. The team boogied a short routine to the classic hit 'Wake Me Up Before you Go Go' and then taught a 15 minute Dance Masterclass to a group of staff, who subsequently performed. 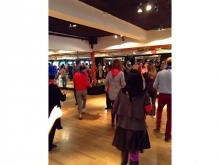 As can be seen from the photos, everyone had a great time and were raving about it after the event. 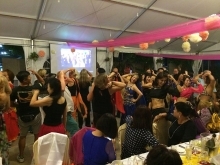 Not only did it give a chance for staff from different departments to get to know each other, but it also showcased a few hidden talents among our staff. A must-have element at any staff party, we were very happy with the enthusiasm, professionalism and expertise of the team. Thanks very much. Got everyone in the right spirit. They had a HOOT on Saturday night, all up and dancing and participating. We’ll have to do it again!